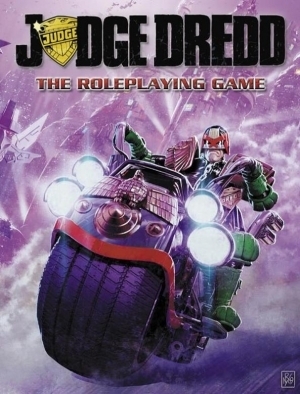 Most people who are likely to pick up this book will already know who Judge Dredd is (from his origins in the 2000AD comic or the Stallone movie), but unlike many games based on books, TV shows or films, there is ample information for those who do not know the original inspiration to get a feeling for what is going on, for the Judge and his world. The Introduction encapsulates the situation. In a radiation-ravaged world vast sprawling cities hold most of the surviving population in relative safety, but law and order is a massive problem that conventional systems of police and law courts could not maintain, hence the Judges – who act as police and court and often sentencing agent as well – developed to keep some semblance of order. Chapter 1: Academy of Law jumps straight in to show you how to generate your Judge character, based on a modification of the Traveller Core Rulebook from Mongoose (which you do need to have). Due to the way they are trained Judges are superior specimens physically and mentally, which is reflected mechanically by the player choosing one physical characteristic (Strength, Dexterity or Endurance) and either Intelligence or the new stat Influence to roll as 1d6+6 rather than the conventional 2d6 roll. Influence is a measure of your Judge’s ‘command presence’ – his ability to take control of a situation by merely being there. All Judges have a minimum Education of 10 and who needs Social Standing when you’re a Judge? To mark the difference between a Judge and anyone else, all other individuals use standard Traveller generation rules. Once you have rolled your Judge’s stats, character creation proceeds along standard lines, with 4-year terms providing skills and other information… only Judges begin training at age 5 and graduate at 20. Optionally, you may take a maximum of two further terms if you wish to play a seasoned Judge rather than one fresh out of the Academy. Next, Chapter 2: New Skills and Special Techniques looks at all those puzzling entries in the tables in the previous chapter, showing you how your Judge can use all those skills he’s acquired during character creation. While they’re designed with this setting in mind, many could be used in mainstream Traveller games or other settings using this ruleset. Clear explanations, examples and creative ways of using them are included, as well as the necessary information and tables to aid in task resolution when a given skill is used. Then Chapter 3: The Justice Department describes the underlying rationale behind the Judges and the system within which they work. History, organisation, even popular opinion and common knowledge are covered concisely yet comprehensively. The discussion then moves on to the day-to-day life of a Street Judge working out of a Sector House: the first assignment of most new-minted Judges and likely that of characters in this game. The things that Judges in specialised divisions do are covered as well, thus providing all the information that players and referees require to set the framework of the campaign. The chapter rounds out with some of the additional specialised equipment available in the Sector House. Chapter 4: I Am The Law looks at the powers and responsibilities wielded by a Judge as he goes about his duties. The complete code of justice is here, complete with the sentences that should be handed out to perps once caught. Above all, and this is emphasised repeatedly, Judges are NOT executioners, although they may use lethal force if all else fails. Many of the typical crimes committed in Mega-City One are described, including the activities of organised crime. This is followed by Chapter 5: Equipment, which gives you all the detail that you need about the gear available to a Judge, as well as more generic items available to the general public. All Judges have a standard load-out, with additional items available to specialists – such as the Med and Tek Judges – or at need. This chapter includes all you ever wanted to know about those iconic items: the Lawgiver and the Lawmaster. Next, Chapter 6: Megways and Skedways begins the exploration of Mega-City One with a look at transportation systems. Starting with an overview of the types of road, it continues with a look at the vehicles that travel them. Moving on to the city as a whole, we have Chapter 7: Mega-City One. Starting with the history of its development, and mentioning similar cities that sprang up around the world, it moves on to look at the layout and administration of the city, sights to see and the entertainments that are available for citizens to pass the time. After a section aimed at the referee giving hints on making Mega-City One come alive in your game, there’s a quick tour of the world beyond its walls. Chapter 8: Thought Crimes looks in detail at psionic powers. Referring to the Traveller Core Rulebook for basic powers, the focus is on the advanced powers that Psi Judges can learn… and on the activities of psykers, the criminal psionics. The advanced powers are wide-ranging and strange, even including temporal effects – and there are some useful notes to enable referees to decide what happens when such powers are used. The use of such powers can take a toll on the mind, and a section is devoted to the trauma that can result. Psi Judges are regularly monitored to ensure their mental health, with psychotherapy available as needed, but civilians may not be so lucky. There’s a section on specialist psionic equipment: all is licenced by the Justice Department and unauthorised possession is illegal. 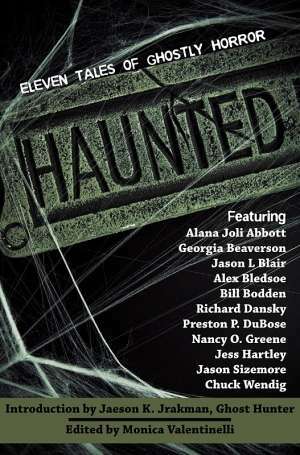 Next, Chapter 9: Crazies, Fatties, Muties and Perps discusses all those with whom the Judges must deal. It also includes aliens – although the focus of the game is on Mega-City One, space has been explored and alien races encountered… and many come to visit, and like all tourists might get into trouble with the local law. Many citizens go mad, these are the Crazies. They go crazy in a variety of ways, and the wise Judge learns to spot them. Fatties become obese on purpose, while Muties are victims of genetic mutation brought about by radiation and other toxins. There are plenty of tables to enable the creation of mutant characters. And of course, the Perps – the real criminals who set out to deliberately flout the law. Again there are tables to allow for the random generation of the average Perp. A collection of ready-made Adversaries rounds this chapter out, including some featured on the Most Wanted lists. Chapter 10: Robots then looks at the robot servitors which have made the society of Mega-City One what it is today, as well as recounting the history of the Robot Wars. Robots come in all shapes and sizes, and with a range of functions, and all you need to create them is here. Chapter 11: MACS Database provides such goodies as a complete timeline from the near future until 2131 when the game starts, and advice on running Judge Dredd campaigns complete with ideas from incidental crimes to deal with through to epic story arcs. Chapter 12: Sector 13 provides a ready-detailed sector in which to base your adventures. There’s information about personalities, the Sector House and other notable locations ready to begin the tale of your Judges. While very true to the Judge Dredd comics, this book provides so much detail that unlike many media-inspired RPGs you do not have to be familiar with the source to enjoy it. As it’s based on the current Traveller ruleset, you could if you prefer change the history and set this particular civilization on another planet and make it part of your Traveller universe instead: a novel twist when your players land and are confronted with the unique situation posed by the Judges!